A major strength of occupational therapy is its long tradition of bringing the arts and sciences into its knowledge base and practice. Yet art is often treated as separate from science; as originating from different paradigms, core values, and requiring different practice skills. This separation puts us at risk of underestimating their points of intersection and their vital synergy for inspiring and serving clients. There are few guides as to how to align and bridge the two paradigms, in practice and in research, without minimizing the rigor or centrality of either art or science. This presentation proposes that the current model of evidence-based practice should be re-framed to create a stronger bridge between art and science. The current model adheres to the scientific paradigm, which deflects our attention from the value of the art paradigm. On the other hand, the intellectual processes and organizational structure of an evidence-based practice model provide an ideal platform for bridging art with science. A conceptual model along with concrete examples stimulate an interactive dialog with the audience. We evaluate the degree to which a re-framed evidence-based practice model is likely to create a synergy between art and science that better serves client outcomes than separated art and science paradigms of practice. This symposium includes four-five occupational therapy practitioners in several Asian countries, and each practitioner speak for 15 min regarding clinical practice, then discuss about 20-30 minutes for all practitioner. As Taiwan government increasingly pay attention to long-term care, “Taiwan Dementia Policy: A Framework for Prevention and Care” was developed in 2014. It will become a guideline on integrative planning and policy implementation from the government. Therefore, therapists have increasingly interested in working in facility, community and home care. Occupational therapist has an important role in the care team of dementia. This lecture will introduce how occupational therapist use assistive technology device in reminiscence therapy activity to help the client with dementia maintain and delay degeneration. Work is a major contributor to the occupational well-being of adults in Singapore. Adults with acquired disability, often require support and services to return to work, due to personal challenges and job demands. Availability of community services for Return-To-Work (RTW) clients in Singapore are few, compared to services for other rehabilitation constituents like the older adults and children, but developing rapidly. Abilities Beyond Limitations and Expectations (ABLE), Singapore, is a social service organization, with a mission “to enable the physically challenged to live with dignity and to have a productive, meaningful and independent life”. Occupational therapists (OT) are members of a multi-disciplinary team that serves clients with mainly physical impairments, to return to work. The team comprise the case manager, employment support specialist, occupational therapist, physiotherapist and training coordinator. Re-employment may be with an existing employer or, for a new job placement. OTs can contribute to various aspects of the client’s RTW journey, including being the Return-to-Work coordinator, to identify appropriate service requirements based-on a RTW framework. RTW interventions are prioritized to enable client’s early return-to-work with an existing employer, or if for job placement, to improve client’s employability. Occupation-focused interventions, often simulated work activities, are used to enable pre-vocational readiness, work conditioning or work hardening. OTs are also involved in job exploration, development of commuting-for-work options, specific work place modifications or work re-design, and, reducing other barriers for RTW, like client’s personal coping strategy for organizational demands. The understanding of the importance of occupational well-being and, the person-environment-occupation interaction for work, positions an OT well to serve the RTW client. 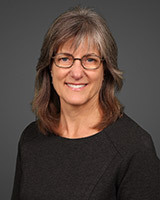 Occupation-focused interventions allow OTs to help clients respond to their unique job demands, and, to enable clients to harness their abilities beyond expectations and limitations. Occupation Based Intervention (OBI) is perceived differently by occupational therapists around the globe. Some believe that OBI is a therapeutic process where occupational therapist and the client co-create the meaning of therapy. Another perspective is OBI includes all forms of occupational therapy interventions such as preparatory and purposeful methods as long as the outcome of intervention is occupational performance. Malaysian occupational therapists perceive OBI according to concept of occupation as a means and an end. Occupation as a means refer to occupation and purposeful activities as a healing agent or treatment medium, while occupation as an end refer to occupation as an ultimate outcome of occupational therapy intervention. Thus, OBI is an intervention on occupational performance that matches the client’s goal, is identified as meaningful and is done within the client’s context, where the occupational therapist can also use the client’s occupation and purposeful activities as a treatment medium or healing agent. Malaysian occupational therapists believe that there are other elements to support OBI such as; (1) client-centred approach; (2) top-down evaluation and intervention; (3) gradable and modifiable to suit the client’s abilities and limitations; and (4) context where the intervention is provided. Although Malaysian occupational therapists believe that OBI benefit their client, it is challenging for them to adopt OBI as the field is dominated by the reductionist approach of the Medical Model. Therefore, many occupational therapists tend to neglect the core tenet of occupational therapy (occupation) when treating their clients. This situation is associated with many factors such as the clients, context of practice, skills of occupational therapists and therapeutic power of occupations. As a result, Malaysian occupational therapists struggle with their identity. This presentation will discuss how Malaysian occupational therapists perceive OBI and the challenges they face when putting OBI into practice. Potential solutions to the problems will also be discussed in order to strengthen the identity of occupational therapy and to encourage more occupational therapists to adopt OBI in practice. The root of Korean OT is actually restorative approach with reductionism. Because in Korea, OT has been started as a type of emergency aids from US/Canada after the Korean War, and the practice trend of the time in the donor countries was restorative approach. So it appears most of the clinical practice of Korean occupational therapy has been carried out in a hospital setting and we has not had time to reflect on our perceptions and knowledge about our profession. There have been many changes in Korea in recent years. We began to reflect on the identity of occupational therapy internally and externally on such issues as the limitations of the national health insurance, limitations on the number of days spent in the fund, and calls for objective evidence on the effectiveness of the intervention. Although the time of our internal reflection has begun, there have been many barriers to attempting to occupation-based practice that is consistent with the philosophy of occupational therapy. So, I'd like to introduce my occupation based practice strategy that is inspired by the challenge of overcoming these barriers and turning clients into occupational beings. Since I have strategically changed my clinical practice, clients have performed activities and occupations during the course of occupational therapy and their perspective has been shifted from the view of impairment to the view of wanted, expected, and needed occupations. And we hear feedback from many clients who said that the successes of occupational performance after disability give them confidence to lead their lives. Employment provides financial security and is associated with improved health, well-being and quality of life. Vocational and avocational barriers faced by people with disability lead to high rates of unemployment and create additional difficulties. Governments committed to improving employment outcomes for people with disability have been investing in employment support services, in recognition that premature retirement, or even reduced workforce participation, takes a significant economic toll on society. People with chronic conditions or acquired disability typically face a complex array of physical, cognitive and/or psychological challenges as well as social issues that may undermine their ability to work. Specialised multidisciplinary allied health teams are well placed to understand the intricacies of health-related symptoms and their impact on work performance. The Australian MS Employment Support Service (ESS) was created to cater for the vocational needs of people with Multiple Sclerosis. Most ESS clients seek support for job retention. Participation is voluntary and ongoing support is provided on a needs and benefits basis. The majority of Employment Support Consultants working in the program are Occupational Therapists. The service delivery can be demonstrated using the Person-Environment-Occupation-Performance (PEOP) model as a framework alongside principles of the Solution-Focused approach. MS ESS offers individually tailored advice and support focused on client’s individual circumstances, strengths and resources. The holistic and comprehensive assessment aims to identify the factors which enable or hinder work participation and performance and includes analysis of the workers, their occupations and life roles as well as their work and home environments. Following a collaborative goal setting, the consultant designs a client-centred intervention which may include education about symptom management to maximise work performance and self-efficacy; remedial activity such as exercises to improve physical or cognitive abilities; compensatory strategies such as assistive technology or changes to work duties/routines/environment. The consultant liaises with clients, carers, employers, service providers, and suppliers of work-related equipment. The participants typically report that the combination of practical advice and emotional support helps them to better cope with difficulties at work, increases their confidence in self-management and improves their well-being. MS ESS is successful and unique because it has evolved around its participants’ individual vocational needs and it is led by allied health professionals. Given the significant effects of unemployment, health professionals need to advocate for people with disability and explore how the delivery model of this government-funded employment program can potentially be replicated elsewhere. Occupation-based practice (OBP) in Japan is the evaluation and intervention that uses a client’s occupation. OBP is considered to be one of the typical occupational therapy approaches. Many occupational therapy researchers have advocated the importance of OBP since 1960s. 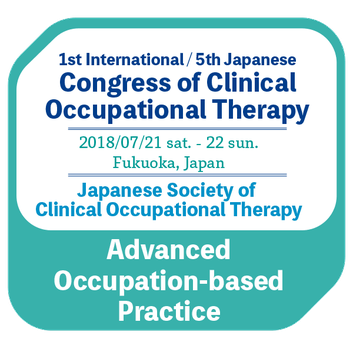 Unfortunately, in the last few decades, the primary aim of occupational therapy in Japan has been to improve body and cognitive dysfunction. However, OBP has gradually expanded in Japan each year. There is an idea of OBP that does not include functional exercises at all but is often unrealistic in a clinical setting. Functional exercises are more effective if they lead to the client’s meaningful occupation. The primary occupational therapy outcome should enable clients to perform and engage in their occupation. Although there are various limitations of OBP, it is necessary for OT to realize those managements for client’s occupation. In this symposium, I would like to introduce advanced Japanese OBP. Takashi Takebayashi (Kibi International University, Japan): Therapeutic approaches involve the occupational based treatment for the hemiparetic upper-extremity in stroke patients. Pai-Chuan Huang (National Cheng Kung University, Taiwan): Robot-assisted training and hybrid treatment in stroke rehabilitation in Taiwan. Kyoungmin Lee (Mindlle Health & Social Welfare Cooperative, Korea) : The role of occupation-based practice for Mild Cognitive Impairment and dementia. Hiroyuki Tanaka (Osaka Prefecture University, Japan): Development of ADL evaluation and intervention strategy for severe dementia. Seokyeon Ji (Sensory Integration towards Social and Occupational being, Korea): The collaboration between school teachers and occupational therapists in the classroom since last 10 years. Sayaka Yamaguchi (NPO habilis, Japan): INNOVATION! for children, occupational therapy, and community. Ling-Yi Lin (National Cheng Kung University, Taiwan): The role of occupational therapists in special educational professional teams for improving the adaptive functioning of elementary school children with autism spectrum disorder in Taiwan.